"Their works are worth to be emulated," said the Negros Daily Bulletin editor-in-chief Pert Toga as he concluded his opening remarks in recognizing the works or outstanding performance of this year's NDB awardees for the 5th annual awarding ceremonies held this afternoon at L'Sea restaurant, Lacson Street, Bacolod City. NDB Honored 6 Negrense and two foreigners to recognize the "unheralded but valued efforts in the field of educational advancement for the now generation." Brother Rolando R. Dizon, FSC, former president, University of St. La Salle (USLS), and Engineer Eddie S. Granada, President and Founder, El Grande Foundation USA, Grande Computer Outreach and Training Center, Philippines. They are both strong advocates of free computer outreach and solid academic preparation for young technicians in today’s technological advancement and professionalism. And Mrs. Hazel Andrea-Stuart, whose dedication and love for tourism has benefited people of various cultural beliefs and outlook in life. She had earned plaudits and popular acceptance notably in the Philippines, where she had devoted most of her retirement time and talent through her valuable trove of documentaries of all that’s beautiful and pleasing in this country. While the other Negrense who received the posthumous awards were the late former Vice Governor of Negros Occidental, Romeo "Roy" Gamboa, Jr. and the late Former Assemblyman Wilson P. Gamboa, Sr., who was also former Bacolod City Councilor and former Undersecretary of National Defense. He had also served as administrator of the Sugar Regulatory Administration (SRA). This is the NDB's initiative to recognize the distinct performances of deserving personalities in different aspects of "humanitarian and health services, academic and educational involvement, business and industry, community development, science and technology, good governance, human relations, corporate responsibility and exemplary public service." And this is a rare challenge of pursuing an annual search for the most outstanding citizens in this province to formally recognize the most deserving in the service of humanity, the community and the country in general, further stated in its editorial. 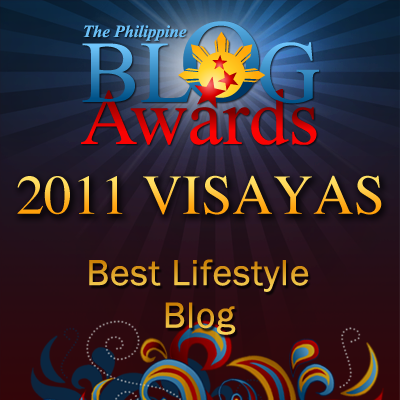 Congratulations to the 2011 NDB awardees! Its always good to look up to other people for good things that they did ... its always a good thing to learn from others ... and to try to be the good that they are. Congratularions to all the awardees. They desreved to be recognised for the good deed they have done. These people really are to be emulated. It's like inspiring others to do their share of good deeds! 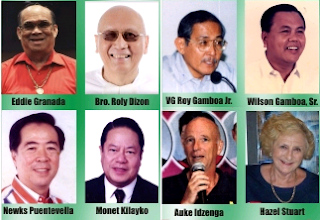 Hail to all the awardees! Congratulations to the awardees. They bring pride to Negros and all Negrinses can always find inspiration in what they great men do for their life and community. This is a wonderful post. Giving recognition to those who deserves to be appreciated. Their work deserves the much needed recognition. Congrats to them and more power. Bless you sir for being so kind. If the world sees more of this, and focus more on topics as such we could be living in a far better world. It is what it is. Let's hope someday things would change with the help of people like them, and like you. It's too nice to know that despite of cruelty and selfishness in this world, there are still people who possess a genuine heart and help others. thanks for sharing sir. Congratulations to the awardees! Recognition of such feats is always very important. It makes them know that people care, and what they have done and have been doing is really the right path.